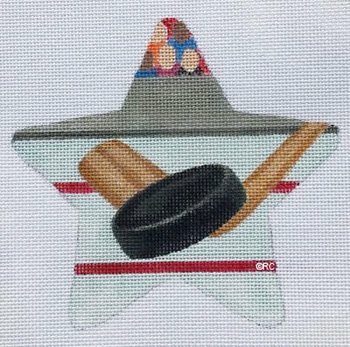 A hockey needlepoint star ornament by Raymond Crawford sold canvas only or with fibers. A perfect gift for the hockey player or fan in your life. HO1371.